PS: When writing a high school textbook for 15 year olds, the readability was set about the same – a target group of 12 year olds. 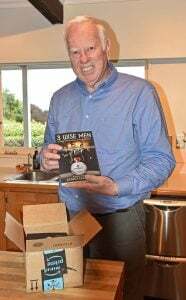 It was heartening to have Allan, my good friend and editor, read a chapter of 3 WISE MEN to his 12 year old granddaughter and learn that she enjoyed it and wanted him to read more! Although this novel has an acceptable readability score, it still contains some complex ideas, as well as a few foreign words – suited to a more mature audience. So, what happens when you come to my book launch? 1. Good company and good food and drink. Why else would you stop off on the way home after a busy day?? 2. Meet the author. 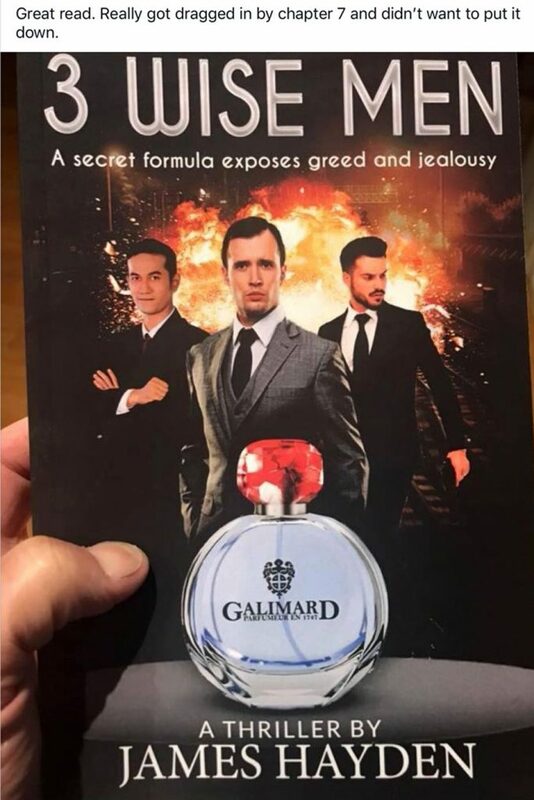 Though not exciting in itself, it would be nice to meet the author and find out some inside information about 3 WISE MEN. Of course, the author will be working diligently to avoid giving away too much of the plot! 3. Meet the author’s wife. This is much more important, because she has endured month after month of reading the book, listening to fresh ideas and reading final drafts. Therefore, she is highly likely to give away something important in the plot without you having to purchase a copy to find out yourself. Then again, she may not, or may forget which bits got left out in the revisions! 4. See pictures of places and characters that were captured on camera by the author (who is also an accomplished photographer) during his research into 3 WISE MEN. While doing so, you will hear a few small extracts from the book that dovetail into the photographs to provide a seamless narrative. Well, I hope so! * How many people loose their lives in 3 WISE MEN – one, or more than one? * Which of these events does not happen in 3 WISE MEN – a kidnapping, a drugging, a hallucination, or a suicide? * What classic English sports car does the protagonist’s sister drive? * Which of these countries does not figure in 3 WISE MEN – Israel, France, Russia, Italy or New Zealand? * Does 3 WISE MEN mention a ‘white rabbit’, ‘3 witches’, or a ‘talking gnome’? 6. 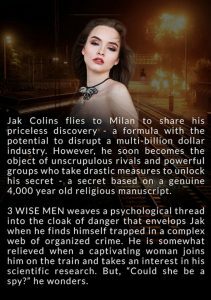 By now, the food and wine (or juice) will have prepared you for the chance to purchase a signed copy of 3 WISE MEN for yourself – and at a great price too!!! 7. With book in hand, you head home to enjoy a great evening of reading! For anyone interested in getting face-to-face with 3 WISE MEN and its author (and his wife), then keep July 19 free from 5:30-6:30+. 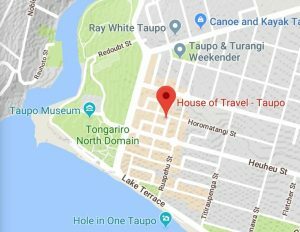 This event is being sponsored and is being held in Taupo, New Zealand. Contact via “Leave a Comment” for an invitation or more information.